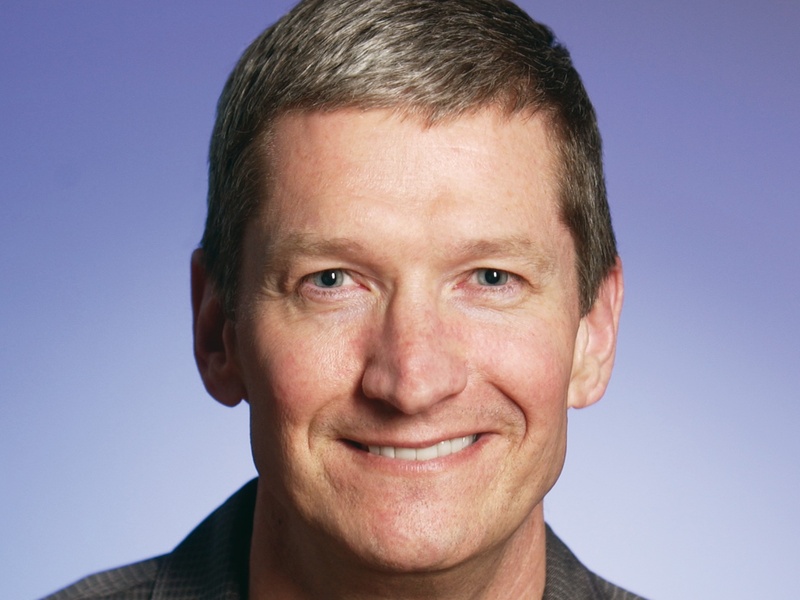 Who is the new Apple CEO Tim Cook? The tech world is in shock today after Steve Jobs resigned from his position as CEO of Apple. The board has named COO Tim Cook as his replacement, but who is the man who faces the difficult job of replacing Jobs, a figure who has became synonymous with the company and its products? The son of a shipyard worker and housewife, Tim was born in November 1960 in Robertsdale, Alabama. Although his exact birth date is little known in the tech industry Tim is 50 years old, turning 51 years old this year. Cook studied Industrial Engineering earning a BS degree from Auburn University in 1982,before going to complete an MBA at Duke University’s Fuqua School of Business in 1988. Cook joined Apple in 1998 leaving Compaq where he served as Vice President of Corporate Materials, a role in which he was responsible for procuring and managing all product inventory. Cook’s career has seen him spend 29 years in the computer industry, 13 years of which have been spent at Apple with a total of 12 years at rival IBM. In addition to his work with Apple, Cook is also a member of the Board of directors at Nike. Cook is known for being a calm, collected and quiet man, quite unlike the very animated style of his predecessor Steve Jobs. Although his work style is fairly intensive to the point that he is often described as a “workaholic”. A typical day might see Cook begin checking and sending email around at 4:30 am, while he is known for holding staff meetings on Sunday nights to prepare for the week ahead. This is not the first time that Cook has served as Apple CEO, of course, having stepped into the breach during recent times that Steve Jobs has taken medical leave. In contrast to Jobs’ infamous $1 salary, Cook was paid a little over $59 million in total compensation from Apple during 2010, according to Business Insider. Wikipedia states that Cook is “a fitness enthusiast” who enjoys hiking, cycling, and going to the gym, he is known to have a particular interest in American football. Cook has been called “the most powerful gay man in Silicon Valley”, although precious little is known of his personal life. Come on, replace Steve? No. He’s irreplaceable. That’s something people have to get over. I see Steve there with gray hair in his 70s, long after I’m retired. Cook may have got this one wrong but his work has been much praised and, as the day-to-day man at Apple, he will already be familiar with many of the responsibilities that await him in his new role. With 13 years at the company under his belt, Cook is very much an Apple man as demonstrated when, in 2009, he answered questions relating to Steve Jobs’ absence. “There is an extraordinary breadth and depth and tenor among the Apple executive team. These executives lead over 35,000 employees that I would call all wicked smart. And that’s in all areas of the company from engineering to marketing to operations and sales and all the rest. We believe that we’re on the face of the earth to make great products and that’s not changing. We’re constantly focusing on innovating. We believe in the simple, not the complex. We believe that we need to own and control the primary technologies behind the products that we make. And participate only in markets where we can make a significant contribution. We believe in saying no to thousands of projects so that we can really focus on the few that are truly important and meaningful to us. We believe in deep collaboration and cross-pollenization of our groups which allow us to innovate in ways that others cannot. And frankly, we don’t settle for anything less than excellence in every group in the company — and we have the self honesty to admit when we’re wrong and the courage to change.